I suppose I could extend the Puppy ID Challenge from our last post I'd know your face anywhere, and see who might be able to pick Yaxley out of this mix. But that just wouldn't seem right. Even I, the humble puppy raiser, wouldn't know which yellow nugget of puppy breath is Yax without seeing the green collar for proper identification. Not with their adorable snouts deep into their puppy gruel like that. 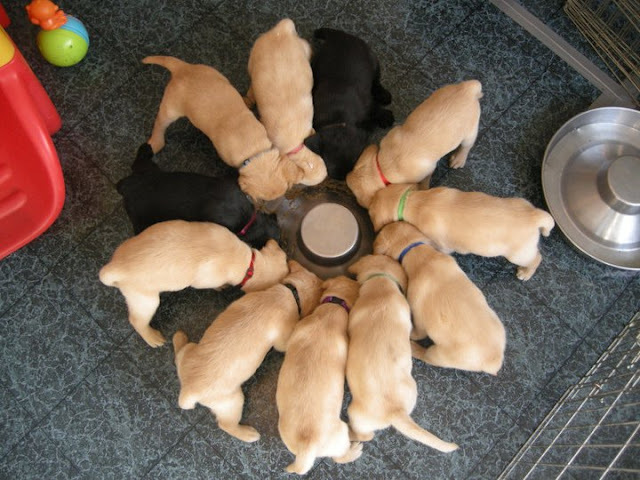 Each pup is assigned a color at birth and each color is representative of birth order. 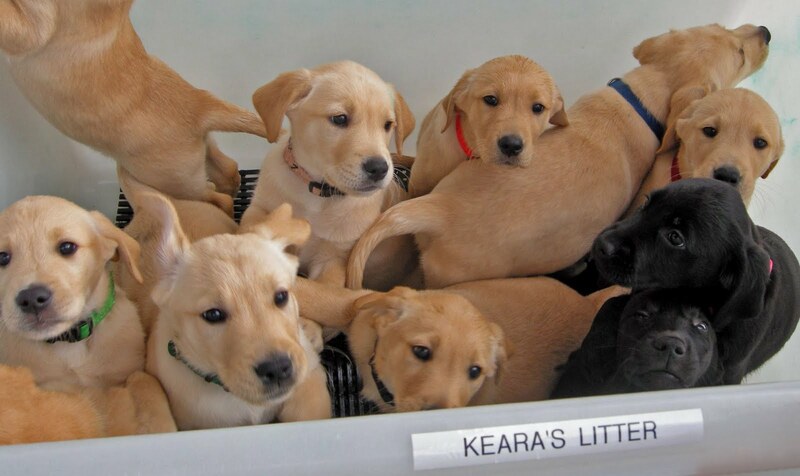 And yep, Yaxley is the pup with the green collar on the far left of the litter photo below. You can almost make out that ridge he has on his nose. But those eyes! His eyes are what folk notice first about him. The kid can work it. Thanks, Beth. Nothing like a retriever puppy, is there? Well, except there's the occasional terrier pup that tips the Adorable scale, of course.